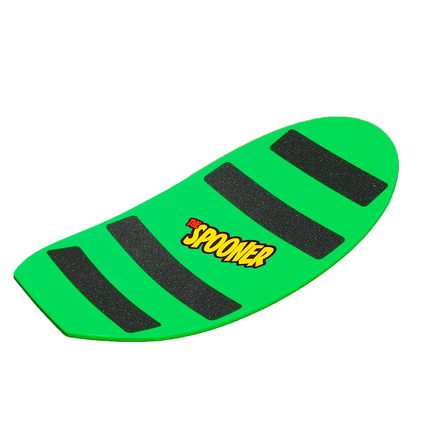 The Spooner Pro Model is the board of choice for taller riders ready to advance their boarding skills. Slightly longer than the Freestyle, the Pro Model allows a taller rider to have a comfortable shoulder width stance. The patented spoon shape is positioned slightly closer to the tail which gives the rider more control for advanced surf, skate, and snowboard manuevers. We recommend this board for kids over 4ft tall who wish to really connect with the feeling or their favorite board sport.